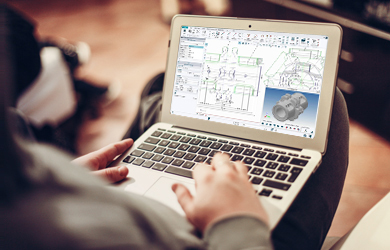 Cambridge, UK and Pittsford, NY – 10 March 2016: Engineering software provider CAD Schroer today announced the release of version 6.1 of its powerful P&ID software for standards-driven creation of high quality piping and instrumentation designs, with a free 30-trial. With the new generation of M4 P&ID FX, the P&ID drawings can be completely managed in the a cloud. The new version of M4 P&ID FX supports Dropbox, Google DriveTM and Microsoft® OneDrive®. This integration offers maximum flexibility for data management and data exchange. M4 P&ID FX is a user-friendly software system which offers easy-access tool trays, a context-sensitive dashboard, and context-sensitive pop-up menus for intuitive design. 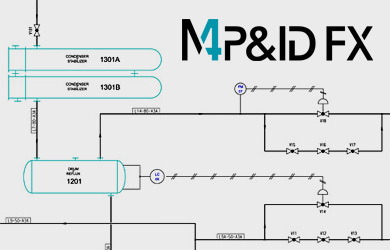 M4 P&ID FX includes dynamic P&ID as well as 2D drafting tools, allowing users to quickly create, edit and augment process schematics. For a quick introduction to the P&ID software M4 P&ID FX CAD Schroer offers extensive video tutorials, as well as step-by-step, well-structured documentation to get you up to speed quickly. M4 P&ID FX includes symbol catalogs in support of the EN ISO, ANSI and ISA standards. Users can add or edit individual symbols, create new symbol catalogs, and configure catalogs for specific projects. In contrast to other P&ID systems, configurable P&ID parts lists, line lists and from/to lists can be generated at any stage of the design process. Multi-sheet reporting is also included as standard. 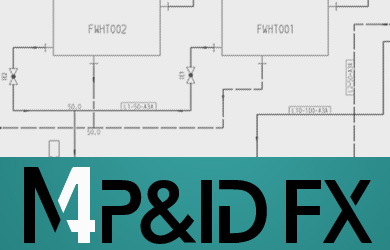 M4 P&ID FX provides an extensive set of 2D tools in support of P&ID symbol creation, and a configurable DXF/DWG interface for easy data exchange with customers and suppliers. “We invite users to watch our M4 P&ID FX software demo video, and to download their free trial. The software download is delivered with tutorial videos, and detailed documentation,” Mark concludes.